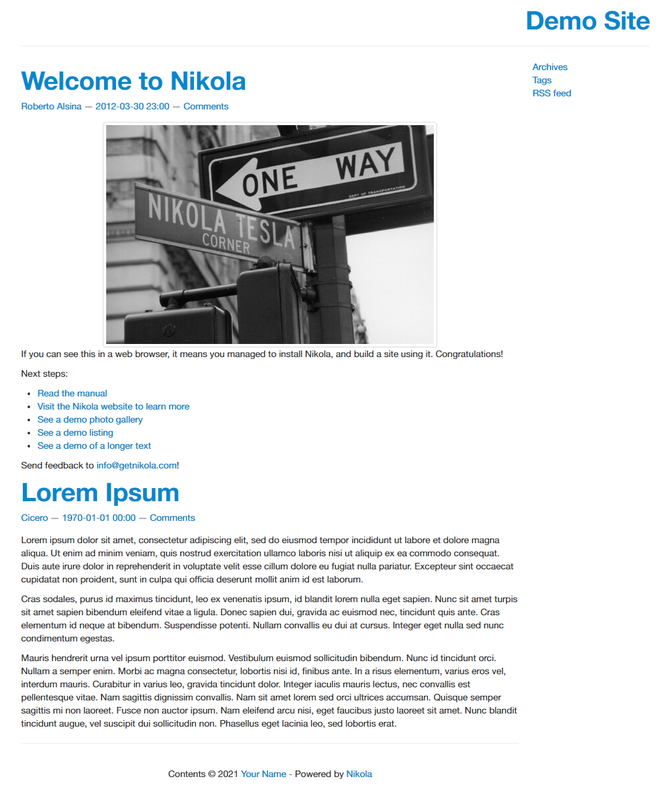 This theme used to be called 'default' in version 5 of Nikola. It's a traditional 2-column, right-sidebar theme, bootstrap-based. Supports Bootswatch color/font schemes through the nikola bootswatch_theme command. You can report issues with this theme and request help via GitHub Issues.